Just opened in Haggerston is Berber & Q, a hipster grill so cool that the staff uniform is cartoonish Karl Lagerfeld tees and the cocktails bear names like ‘Scammed In Marrakech’ and ‘Haggerstoned’. Questioning whether such style will always lead to a substantial dinner? Well trust us when we tell you that Berber & Q’s well-travelled menu (a lot Middle Eastern and a little bit North African, with just a taste of classic American barbecue) is exciting, intelligent and really, seriously moreish. The meat is, of course, the focal point of Josh Katz, the former Ottolenghi and Galvin chef’s menu. We chose the hand-pulled lamb served with cumin salt, the harissa hot wings and the short rib, glazed in date syrup and smoked so well that it melted off the bone. But, under Katz’s control, all the things that would elsewhere be considered ‘extras’ deserve just as much airtime. We never thought we’d get so excited about hummus and pitta – the latter fresh, steaming and perfectly seasoned, the former, super savoury and dotted with whole chickpeas and pine nuts. 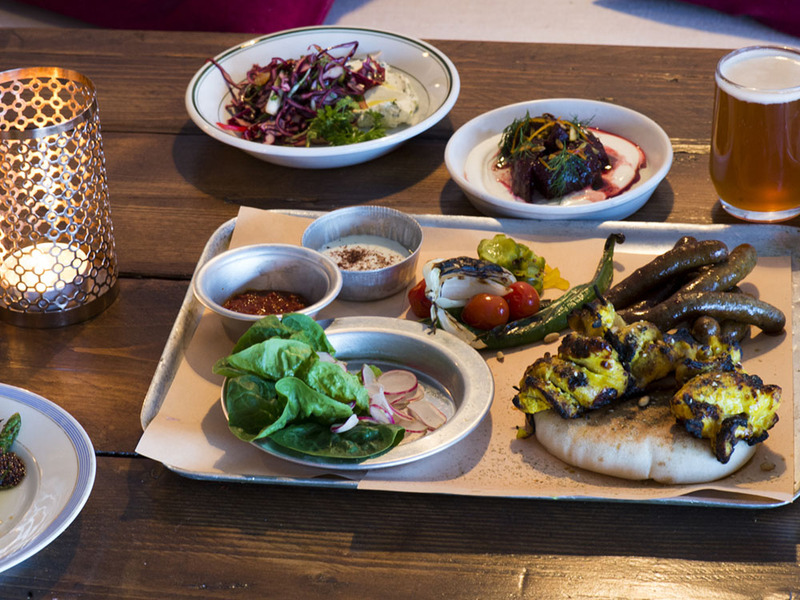 Veggie friends, usually a bit left out at a BBQ restaurant, would leave buzzing about this mezze menu as the dishes come up so big and satisfying they qualify as mains – we particularly loved the blackened aubergine stuffed with crushed tomatoes and garlic yoghurt. A bit of a genius touch is the non-presented presentation. Most of your order will come on one large metal tray – the pittas soaking up the juices of meats on top, the salad catching the salts and the sauces. 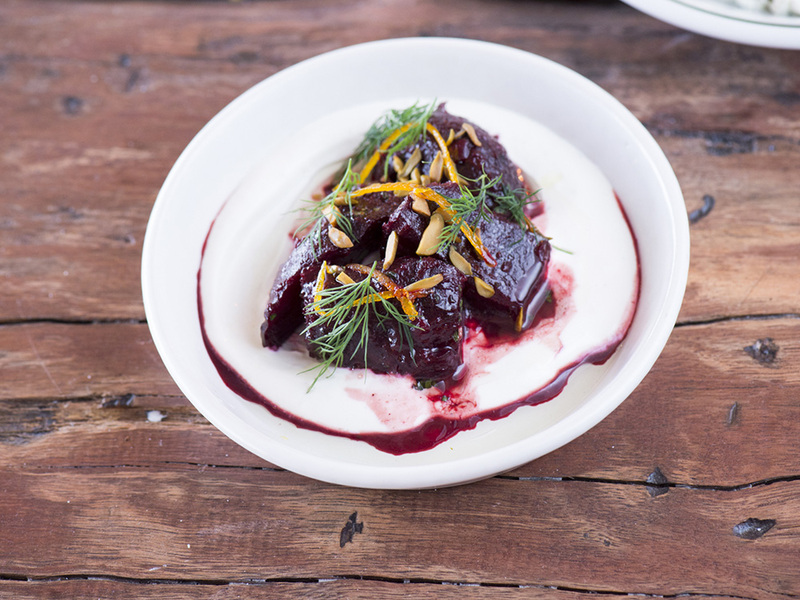 But that’s half the fun of it; dip one mouthful of your lamb into the hot and spicy Harissa, dunk the next across into your ‘side’ of whipped feta with beets and saffron candied orange. Everything is flavoursome, but all the flavours in Katz’s cook-up then click and clash for even more brilliant effects. 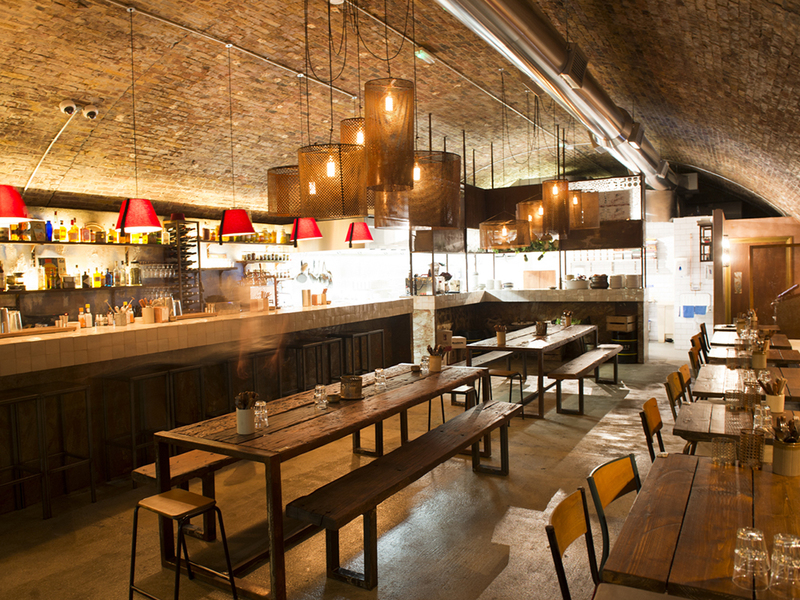 Set in a re-purposed railway arch in a Haggerston back street, Berber & Q screams hipster, in the best possible way. It’s got a buzzing bar, Instagram-friendly lighting and a no reservations policy – which will no doubt lead to a trendy queuing system once word gets out about the coolest new grill in town.